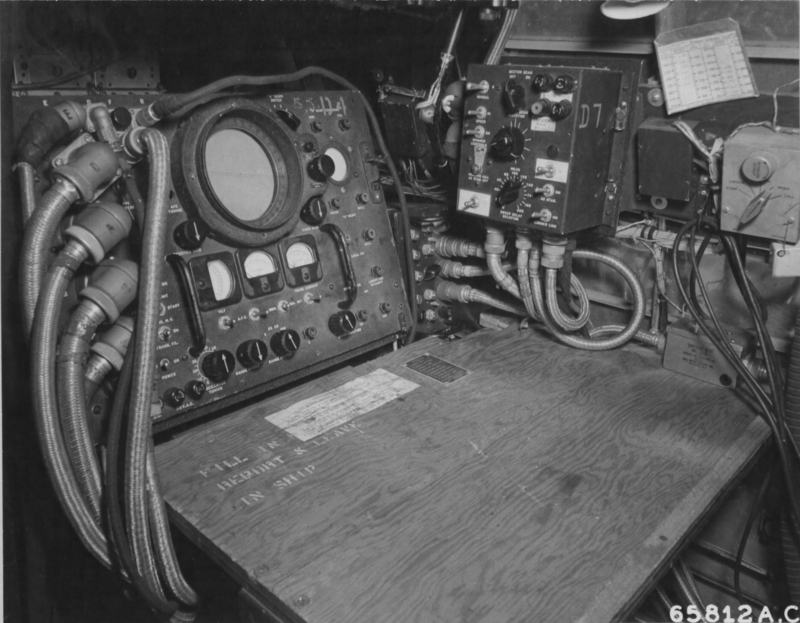 The radar operator’s position in the B-17. The AN/APS-15 radar depicted here featured a large rotating dish housed on the underside of the aircraft inside a non-metallic “radome” that protected it while in flight. The map discussed here would have been laid out on the table in front of the cathode ray tube scope that “painted” a picture of the terrain around the aircraft at distances greater than 50 miles.